This is my first card to participate in the Kristina Werner Colour Inspiration Challenge #50. I have seen quite a few of these flower pot cards on blogs and knew that I had to give it a go. 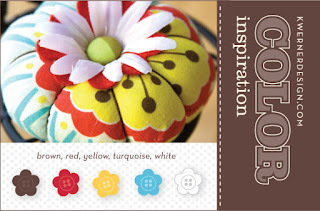 Thanks to Stephanie Luman for her inspiration and easy to follow instructions on the Flower Pot Card - here. And here is the inside of the card. I printed the words on my printer. hey... this is very nice... very original! !